“Ach du lieber gott” as my mom used to say. 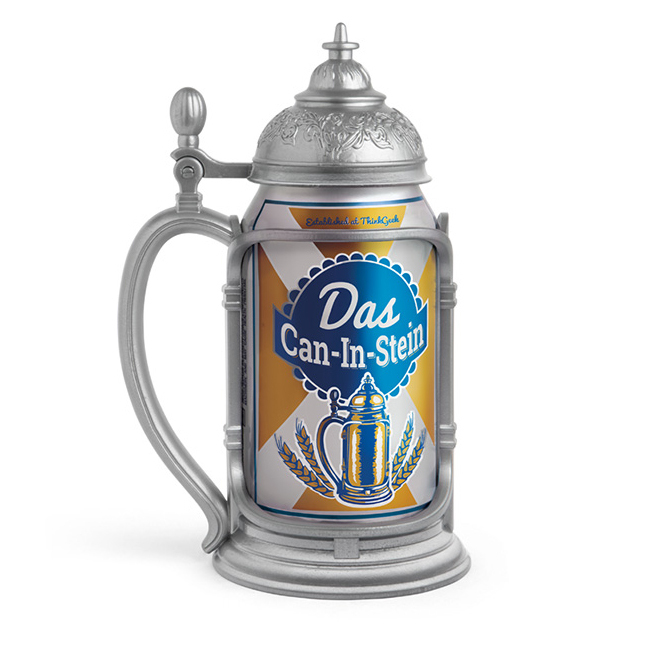 ThinkGeek.com highly recommends you introduce your friends to Das Can-in-Stein verbally. As in, “You’re going to the Oktoberfest parade this weekend? That’ll be a sweet opportunity for me to break out my Das Can-in-Stein!” over the phone. See, because when you say it outloud, it sounds like you’ve got a potentially lethal weapon from which you’re going to drink. Which isn’t entirely false. 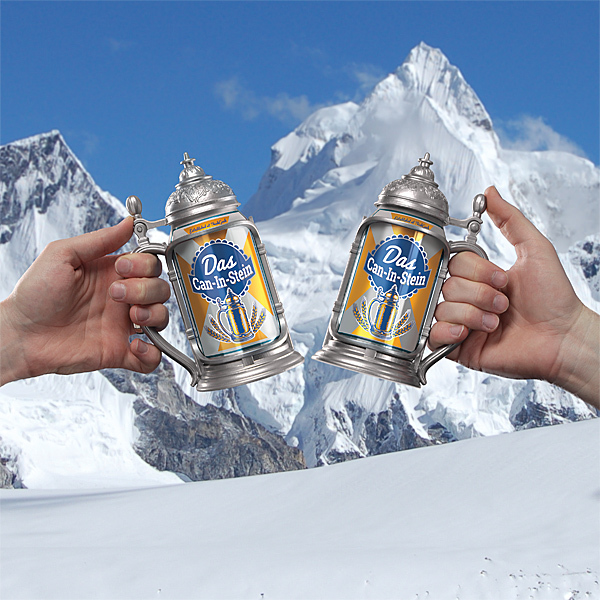 The Can-in-Stein is lethal – lethally awesome. Just slip your drink into your Das Can-in-Stein and brace for the impending carousing. The pewter-look resin scaffold holds any standard 12 oz. can and features a hinged lid easily operated with a thumb-lever. And you know what that means: no more Black-Plague-carrying insects in your drink! Because you’ll be doing it a lot, it’s recommended you toast base-to-base with your Can-in-Stein. And always toast holding the handle! Beifall!